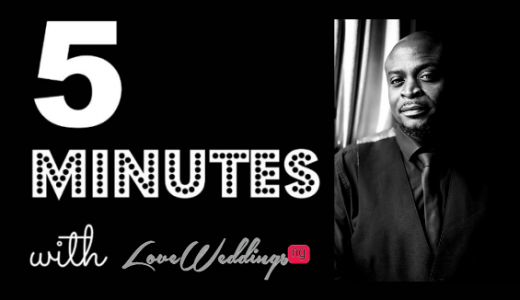 ‘5 Minutes with…’ is a series of short interviews with some of the esteemed vendors listed on our directory. If you missed any of our posts last year, catch up HERE. We get to know the brilliant people behind the brands we love. 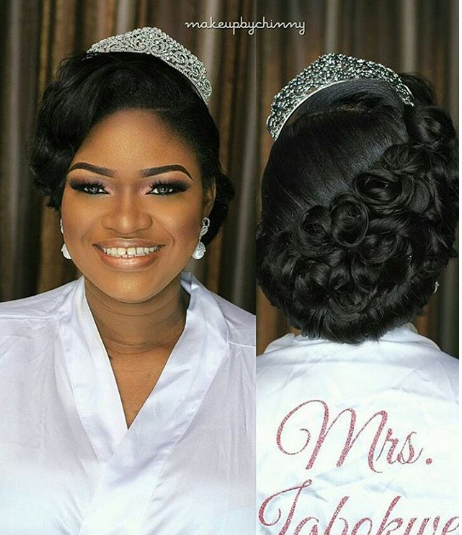 Today, we meet the amazing bridal hair stylist, Tobi of Tobbie’s Touch. 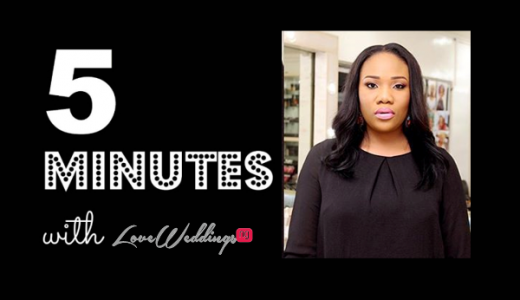 This isn’t just your typical ‘5 Minutes With’ post; it’s Tobi’s birthday today so we thought what better way to celebrate this amazing vendor of ours than to tell you all about him, what inspires him and why he set up Tobbie’s Touch. 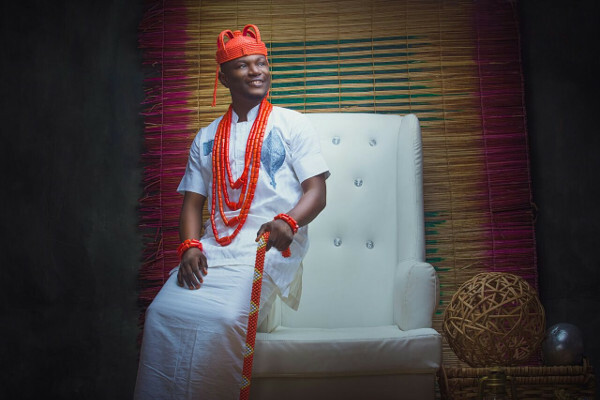 Tobi shared pictures from his stunning birthday shoot with Mofe Bamuyiwa of BMB Photography with us. 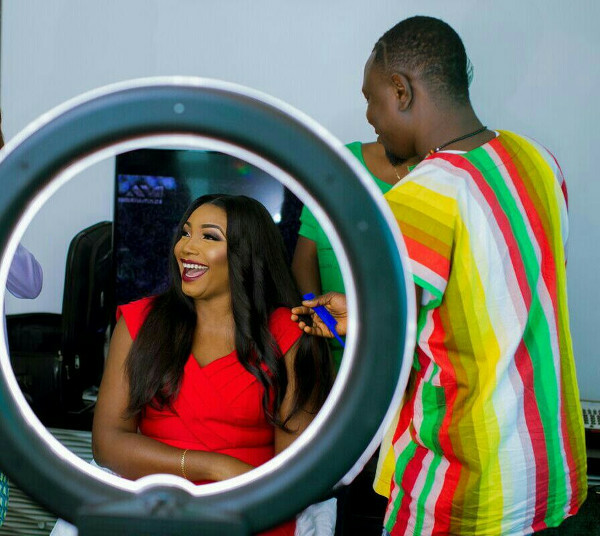 Oluwatobiloba Ogunbiyi is the CEO and grand stylist of Tobbie’s Touch – the hair stylist for divas. 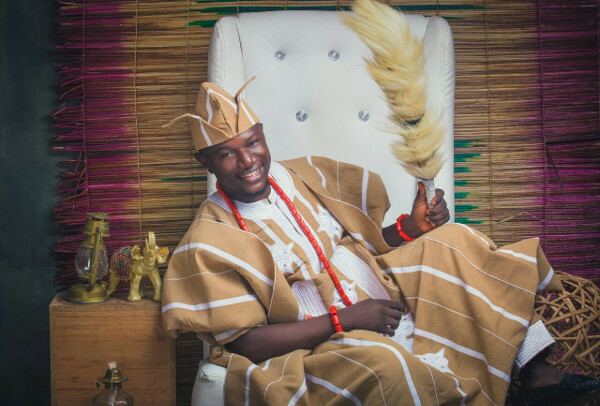 He is a graduate of Industrial & Labour Relations from Olabisi Onabanjo University, Ago-Iwoye. 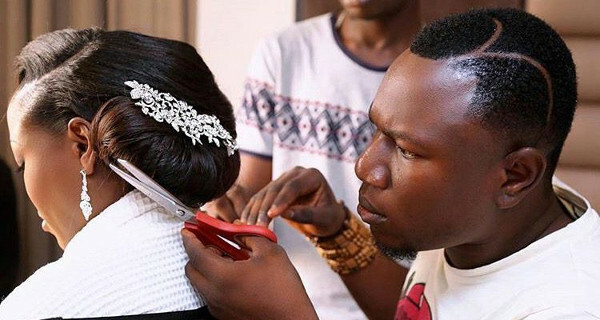 Tobi has been a hair stylist since 2006 but set up Tobbie’s Touch 2 years ago. He established Tobbie’s Touch to bring about a change in the hair industry because he noticed that African women, though pretty weren’t wearing the right hairstyles to suit their unique facial structures. He gets his inspiration to style his clients’ hair from animation and cartoon characters such as Elsa in Frozen. The part of my job I enjoy the most… Getting feedback and referrals from clients. It makes me fulfilled because it means I have done a good job. When I don’t receive feedback about a job, it feels incomplete to me. What is the most difficult part of my job? Dealing with some clients, especially when they go through third parties e.g. planners. The fact that communication goes through someone else before it gets to my client can sometimes be an issue but it’s nothing major. I always try to speak to my brides/clients directly, wherever possible. My biggest accomplishment to date… My client base. When I set up my Instagram page 3 years ago, no one knew me then but I knew I had something to share with the world so it gave me the platform I needed at the time. I organised shoots, created my unique hairstyles and uploaded them on my page. I was very lucky with my first set of clients; they were not average Nigerians; they weren’t bothered about the cost, they just wanted me there. So in the end, what they paid me was way more than what I would have even asked for so they set the standard for the sort of clients I attracted from then on. Although, we’re not expensive, I’ll say Tobbie’s Touch is for classy people. 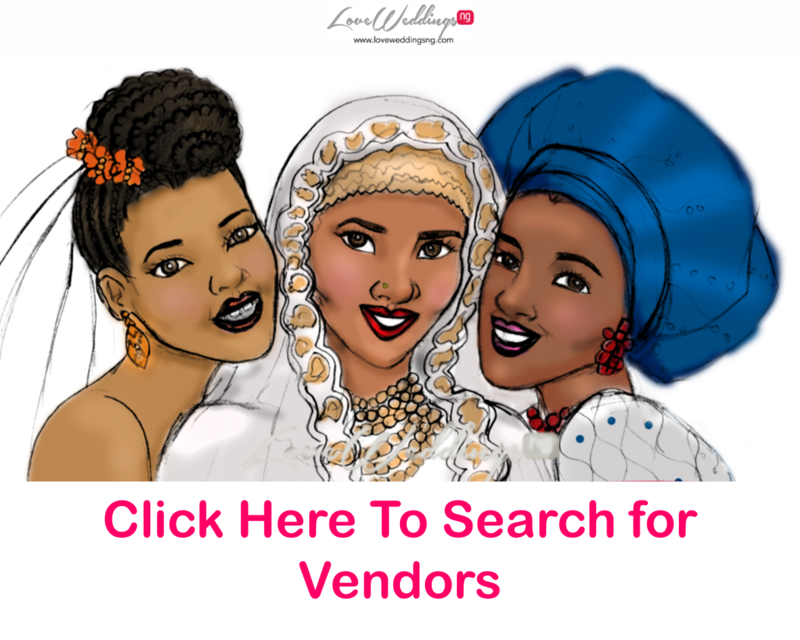 Do you think Nigerian vendors are respected enough? Some wedding vendors are respected e.g. makeup artists, wedding planners, decorators but not hairstylists. The reason I say this is because I’ve had a situation before where I had to turn down a job because the bride told me she was happy to lodge her makeup artist, the photographer, etc in a hotel on the island but she couldn’t lodge me in the same hotel because I was just a hair dresser. That made me feel bad. The thing is “I’m not a hair dresser but a hair stylist.” There are many Nigerian hair dressers but probably less than three hair stylists. It’s one thing to learn how to sew weaves on a client’s hair and pack the client’s hair; Bridal hair styling is different from hair packing. 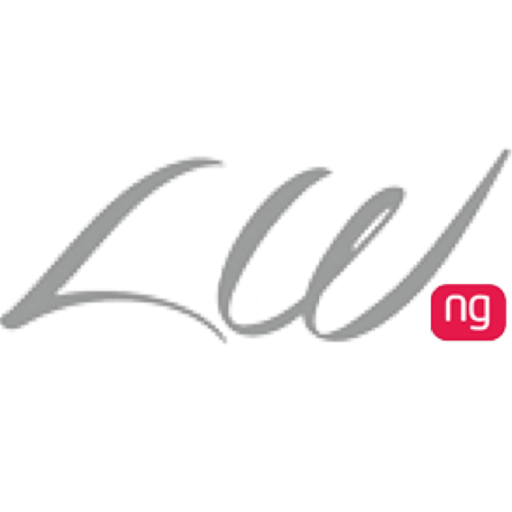 The best vendor you’ve worked with… I don’t want to mention names because I’ve worked with a lot of makeup artists and they’ve been fantastic especially those who know how to get the perfect brows for my brides/clients – they know themselves. The brows are the first thing I notice on my bride because once the brows are perfect, you’re welcome to my world!!! Do you think a client’s brows affect the way your work as a hair stylist turns out? Exactly, it does because a bridal look is just like a meal. If its cooked and seasoned well, its great and when its under cooked or not well seasoned, its not great. Everything has to be perfect and everything needs to be connected – the hair, makeup, accessories, dress, everything has to go hand-in-hand. 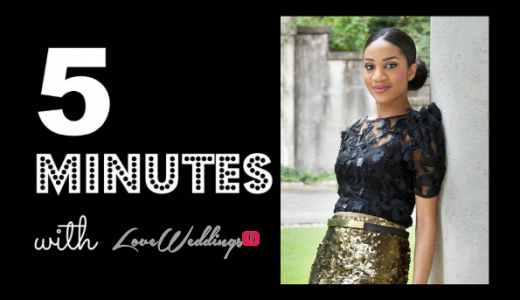 One quality every Nigerian wedding vendor must have and why? Humility; it goes a long way . Your talent will take you places but your character keeps you there. Sometimes, you might meet people who may bring out the worst in you but its important to remember when you meet clients, you’re representing your brand and not just yourself. 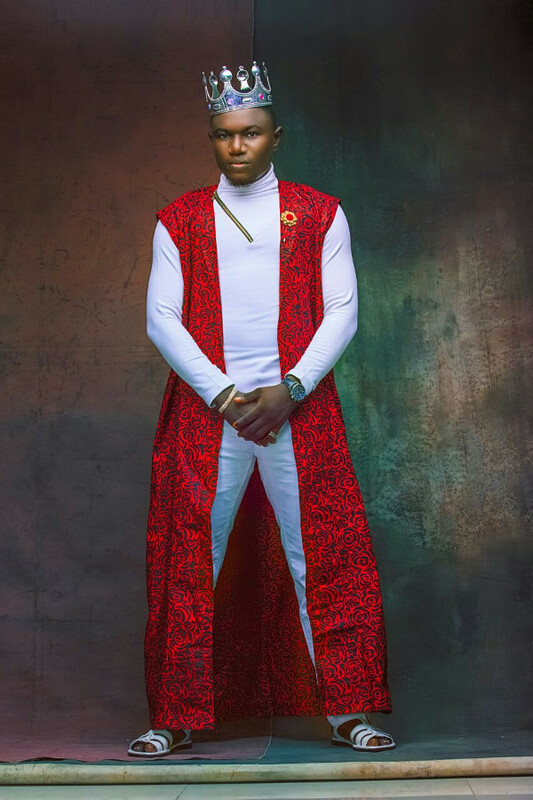 I see myself as Tobi of Tobbie’s Touch; I am not Tobbie’s Touch. I see Tobbie’s Touch as an empire and not just one person. When you see the work of my hair stylists’ and put it side-by-side with mine, you’ll notice both jobs have the same signature look. In fact, they teach me to create some styles; I’ve imparted the basic skills they need because I have groomed them to become bridal hair stylists. Most embarrassing/Awkward Experience… Ah! I’ve had so many but I’ll share one that happened in Ibadan, a bride (Bride A) made enquiries long before her wedding but she didn’t get back to me or book. A different bride (Bride B) called, paid and booked on the same day. Bride A called me a month before her wedding to book, I explained someone else had already booked that date and made payment so she asked where the wedding was holding and I said ‘Ibadan’. She asked if I could style two brides on the same day since her wedding was also happening in Ibadan. I said we could make it work depending on what time her wedding was due to start. Bride A told me her wedding was due to start at 10am while Bride B’s wedding ceremony was due to start at 830am so the plan was; I’ll come over to Ibadan on Friday evening, fix Bride B’s hair, go to Bride A afterwards. We also agreed that I’ll come over to Bride A on Saturday morning once I finish styling Bride B’s hair; it takes me less than 15 minutes to style a bride’s hair so my plan was to finish styling Bride A’s hair by 845am at the latest. Bride A also had 20 bridesmaids whose hair we had to style; she asked me to come with 5 stylists but I decided to go with 8 stylists because I knew we wouldn’t have a lot of time. A day to the wedding, I called the planner to get the address to meet the bride. The address I was sent by the planner was different to the address I got from the bride and also different from the address I was sent from the bride’s sister. I had to call three of them to ask where exactly to go; I couldn’t reach them. I was on the road from about 2 – 5pm. At 7pm, I started calling Bride A so she could fix her hair, as agreed. I was told she was still turning up at the traditional wedding venue. This lasted up until 12 midnight!!! I had to tell the planner that one of my hair stylists would fix Bride A’s hair when she’s ready as I had to go to fix Bride B’s hair. I assured the planner I would come back to style Bride A’s hair in the morning, as previously agreed so I made my way to Bride B. At 1am, Bride A called to say she was ready for my hair stylists to fix her hair and asked that they come to her hotel; I said they’ll have to arrange for my hair stylists to be picked up and dropped back at their hotel as they weren’t local to Ibadan and didn’t know their way around especially at that time of the day. Bride A said if my hair stylists couldn’t find their way to her, they should get the f**k out of the room. One of my hair stylists was actually pregnant at the time but that’s besides the point, even if she wasn’t pregnant, it just wasn’t right at that time of the night to send them . I didn’t hear anything from Bride A that night. Did Bride A pay in full? She paid less than 10% deposit and that was the mistake I made. I was really upset; I really wanted to write about it on Instagram but I calmed down and decided to let go. Two days after the wedding, I noticed Bride A came to my page to like a lot of pictures on my page. 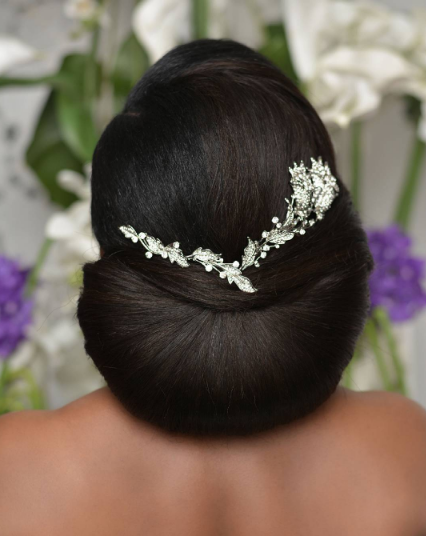 I decided to write about the experience but kept it very professional; Bride B saw the post and couldn’t believe I ended up not styling Bride A’s hair. She asked me to send my account details and paid what Bride B should have paid me. That helped cover the cost of transportation and accommodation for the 8 hair stylists that came with me to Ibadan. That’s my worst experience so far!! Yes, Bride B gave me the money but I wasn’t happy because I wasn’t able to style Bride A’s hair. Styling the bride’s hair is always the goal for me. Even though Bride A opened up a ghost page on Instagram to insult me; I knew she was behind it so I just gave her one line to which she still hasn’t replied till date. Lessons learnt? Since then, I have created a thorough and professional booking process. I think at the time, I saw hair styling as a hobby but this experience taught me to create a process that works for me and my clients. Does anything scare you? I’m scared for Nigeria because that’s where my business is situated. The way our economy is going is really scary. We can work around most of the other problems we face e.g workforce, skills, lack of infrastructures in terms of finding substitutes but what can you do when the economy is failing the way it is. To put this into context, a lot of the products I use are imported and that’s not because I prefer them. It’s only because I’m very particular about what I use on my clients’ hair e.g. I stay away from products with alcohol. And with these items, once the dollar rate rises, the prices of these items rise with it. Even my shampoo, I used to buy it for N2,000, its now N4,000; the rent I pay for my salon too… all these things get affected when the economy isn’t what it should be. It’s difficult to double what you charge clients because they won’t understand. Your thought on social media? Social media is like a church you go to in order to receive God’s blessings.  It is the best thing that can happen to a business owner because that’s where you can sell your brand, not just to people within your reach, but to people outside your immediate environment. Most of my clients are from Instagram … about 85%. I’ve received calls from people from all parts of the world and I always just think ‘I’m just a hair stylist in Nigeria.’ I’ve received invitations from top makeup artists to host sessions at their masterclasses and training sessions. Without social media, I don’t think these people would know who I am or be able to reach me so easily. Do you ever google yourself or your company and what did you find? I think I have once and I found a lot of posts from my pages on Instagram and Facebook. 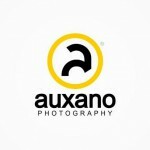 I focus a lot more on Instagram because I get a lot of clients from there. In my spare time, I watch cartoons, animated movies. I just love how perfect everything is… from the colours, the dress to the hair, everything!!! I cook a lot too, I actually thought I was going to become a caterer/cook until someone discovered the talent I had as a hair stylist. Interesting fact about you… I’m extremely playful even with my brides but I use it to my advantage. My bride’s feel at home when they see me in that way because it projects that I’m comfortable working with them but it’s important to balance it out – to know when to talk and when to be quiet. Where do you feel most at home? In my colorful salon/my studio. I get inspired when I look at a straightener and start think of what else I can do with it, which puts me in creative mode. What songs are currently on replay? 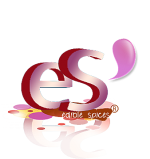 I love songs by Asa, Beautiful Nubia, Sola Allyson Obaniyi and a little bit of Adekunle Gold. I’m not a fan of beats, I listen more to the lyrics so I love No Forget by Adekunle Gold & Simi. Its one of those songs I have to listen to with my earpiece on. We see a trend here; most of these artists are indigenous, African, is that your style? I’m very African, I was meant to study Performing Arts at university. My dad studied Yoruba and when I go to his library, he noticed I have this thing called ‘the spirit of the writer’ where I get into the character of what I’m reading so he was scared and didn’t want me to become like any of the bad characters in the books I read so he told me to change my course. 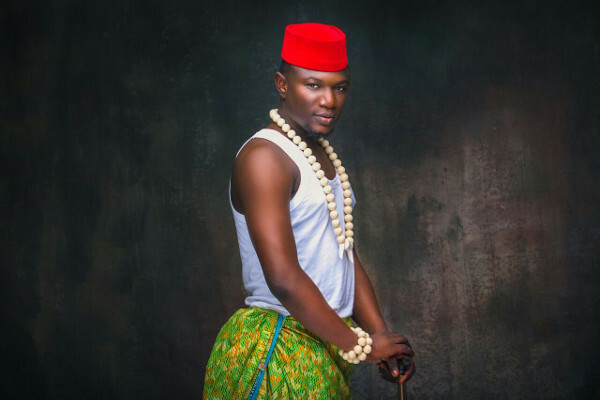 But back to the question, I am very African; I love beads, African prints; you’ll hardly find me wearing a suit, I love wearing agbadas, campala, etc. What book are you currently reading, or what was the last book you read? I’m not a reader but I read online about hair. I just browse a lot on Google and YouTube. Ideal holiday destination… Any country that allows me access or the freedom to style someone’s hair without restriction. I want to go to places where I can just walk into a studio and play with hair. 3 guest for dinner, who would they be? Beyonce – she’s BAE… she’s a diva. One of my dreams is to style Beyonce’s hair. Every hairstyle suits her – center parting, side parting, all back, side swip, short hair, long hair, you name it, she SLAYS 24 – 7, her makeup – natural, always on point, her carriage. I love Beyonce. Genevieve Nnaji – I love everything about her, she’s classy. She has a lot of similarities with Beyonce. She’s not everywhere; she keeps it simple yet classy and she’s not struggling to belong. She’s just in her own world ruling like a Queen.